European auto repair is something that European vehicle owners take seriously and for very good reason: European vehicles are uniquely designed and require specialized attention in order to maximize their lifespan and overall performance. Highline Car Care has spent the better part of a decade offering European auto repair at a greater value and efficiency than is often experienced at the dealer. Based upon both our Preventative Maintenance Schedule as well as our experience working on Euro makes such as BMW and Mercedes-Benz, we are able to recommend the right European auto repair at the right time. Many auto repair shops in Mesa/Gilbert are not equipped or qualified to service these performance machines and it’s important for owners to become savvy regarding who they choose to work on their vehicle. There are dozens of European car manufacturers such as Audi, Porsche, Saab, Volvo and Volkswagen. Additional exotic European vehicles include Aston Martin, Bentley, Ferrari and Rolls-Royce. 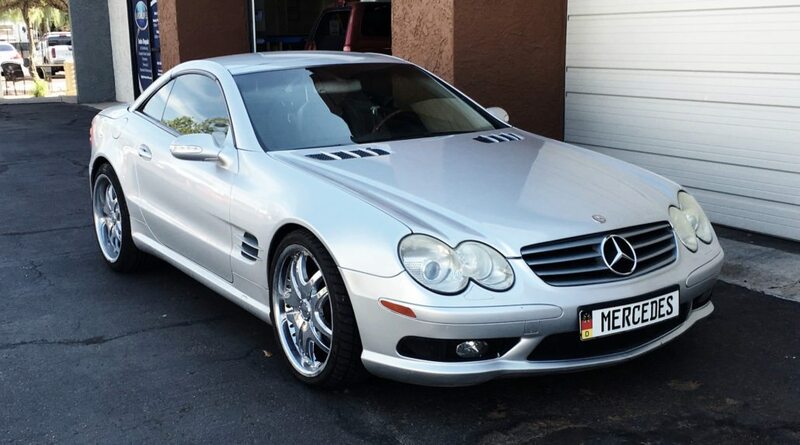 The most popular European makes in Arizona are the BMW and Mercedes-Benz. Mercedes-Benz and BMW are two of the most popular European makes in Arizona. Most BMW, Mercedes and European car owners know that they need a Euro-qualified technician to perform any and all service on their car. This often means driving long distances to one of the few valley dealers who can perform regular maintenance and repair – and continuing this process even once the car is out of manufacturer warranty coverage. When our clients discover that not only is our auto repair shop able to perform all routine service but also for a better value (and overall experience) they begin having their European auto repair service done at Highline Car Care. 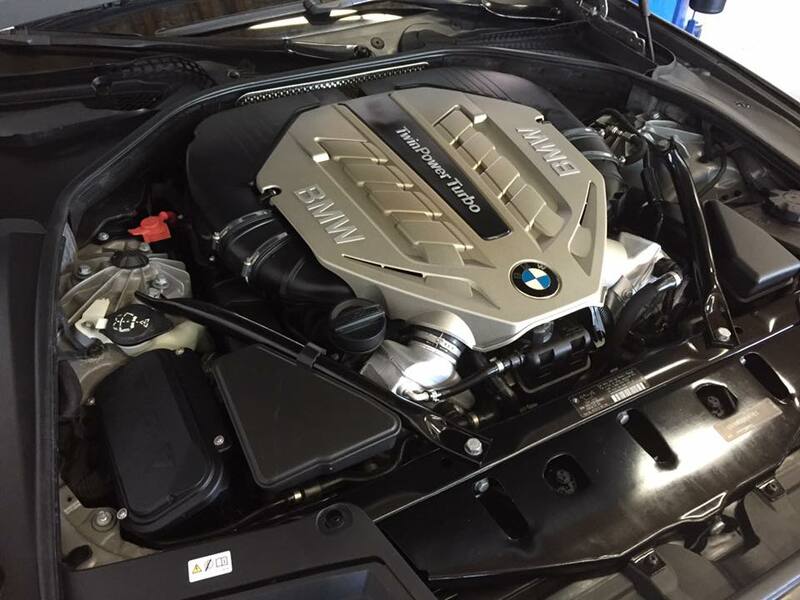 The Highline client appreciates the perks of owning a BMW and wants a mechanic who can maintain their vehicle properly so they can continue enjoying those perks. Many auto repair shops won’t perform any type of service on Mercedes or the like because they simply don’t know anything about them which is why our customers enjoy that we do and can take care of them. The best way to describe routine maintenance for one of these European makes is unique. From a simple oil change all the way to performing a head gasket service, your Euro-vehicle requires more attention and, in many cases, require specialized equipment to perform a given task. While there are dozens of other routine repair and maintenance items, the above represents the more common items that our clients use our shop for, no longer having to visit the dealership. 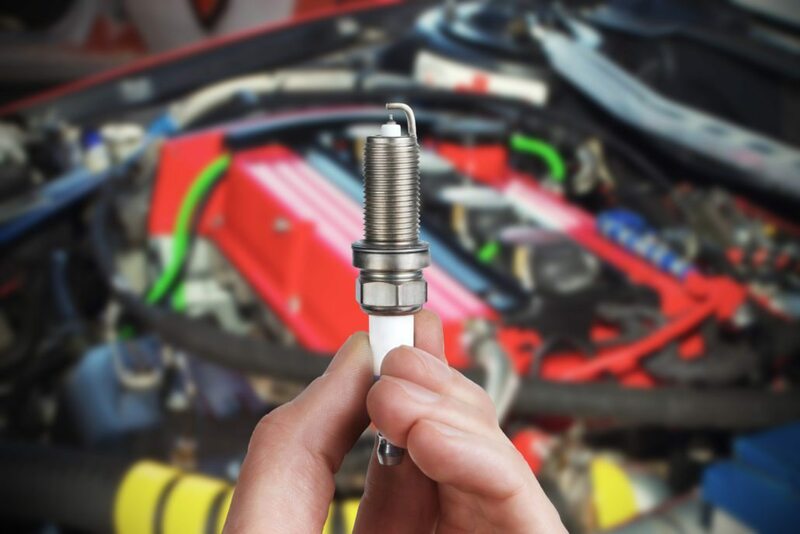 Spark plug replacement on a European vehicle such as Mercedes or BMW can take up to 3 hours. In addition to routine repairs, there are many specialty European auto repair services which a BMW or Mercedes owner can encounter during their ownership cycle. BMW, Mercedes and other European makes are high-performance vehicles which not only provide exceptional driving experiences but also carry a certain amount of prestige and prominence on the road. At approximately 80,000 miles European vehicles begin needing additional attention that their Japanese or US counterparts may not. As mentioned above, it is not uncommon – and we would even venture to say it is expected – that parts like valve cover gaskets and oil pan gaskets will become leak-prone at the 80k mile marker. While there is no official word as to why this happens, our experience points to warmer driving conditions in the US than the temperature conditions in Europe where these vehicles are designed and manufactured. The heat in many parts of the US, especially Arizona, adds additional stress on the rubberized compounds which make up several key parts and cause leakage. Another specialty area that requires attention is the computer control system and maintenance control computers which need to be reset during each service. Communicating with the computer on a BMW or the like requires specialized diagnostic and communication devices that without, you are unable to properly care for the vehicle. The tools required for regular and specialty repair can vary from year to year – meaning that the equipment necessary for a given job could change in a future model year and a technician would now be required to have both tools on hand to service all model years. BMW, Mercedes and other European makes require specialty tools for regular and special service/maintenance. One particular service and repair item which is altogether different on European vehicles as compared to domestic or Japanese vehicles is the braking system. Most notably, European rotors must be changed during every brake pad replacement. 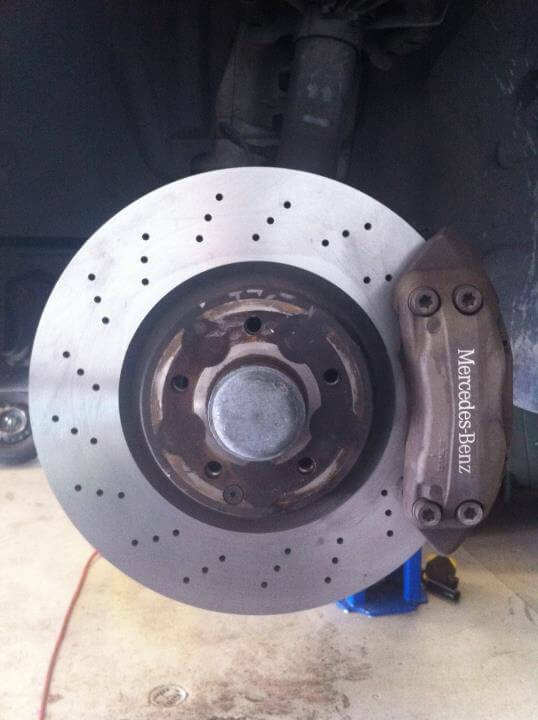 European rotors are designed to wear out at the same rate as the brake pads on their contemporaries. Why? The European braking system is a much higher performance braking system and the parts the manufacturer uses prioritizes performance over longevity. Owners can trade out the manufacturer’s braking system parts for more conventional and longer lasting brake systems, however, there may be a noticeable difference in braking response. The braking system is one of the more obvious reasons why European vehicle owners want to work with a mechanic who understands the idiosyncrasies of their car and our knowledge of such needs is why our customers have come to appreciate working with Highline for their European auto repair, in addition to having us care for their Japanese and domestic vehicles. European rotors are meant to be replaced during every brake pad replacement. You have most likely noticed that we have referenced the 80,000-mile marker several times thus far. For nearly a decade we have repeatedly witnessed European vehicles begin to increase need for attention and repair near this mark. It’s not an official “standard,” however, having worked on hundreds of BMW, Mercedes & other European vehicles in Mesa, Arizona, 80,000 miles has become the unofficial standard recognized by our shop. We have actually had customers plan to sell their vehicle near that marker providing more weight and substance to this unofficial standard. As noted, these high-performance machines are fantastic vehicles for the first 80k miles and if you are looking to purchase a used European make, you will want to be prepared to perform the necessary maintenance to ensure it runs at a high level for the next 80k miles. Along with some of the items already mentioned earlier, something to consider when buying a used European vehicle, BMW in particular, is the transmission. BMW recommends never servicing the automatic transmission on one of their vehicles. While this recommendation may make sense for vehicles staying in European countries, in Arizona we continually see used vehicles come into our shop with black transmission fluid. To illustrate why this is significant, we will look quickly at oil. Over time, debris, moisture, gasoline and carbon will find it’s way into your oil which is why new oil has a clarity to it and old oil is black. In the same way, Arizona is the perfect storm for contaminating transmission fluid with debris, transforming your transmission fluid into a melted black licorice color and preventing your transmission from receiving the necessary lubrication. So, not only is it important to work with a European auto repair technician trained to work on your vehicle, but also one that is experienced enough to understand what your vehicle needs, specifically for your geographic location and driving habits. The gold-standard in auto repair training is ASE, the National Institute for Automotive Service. This organization is a non-profit focused 100% on improving the quality of vehicle repair and service through testing and certifying automotive professionals. You want a mechanic who is ASE certified. This certification is tangible proof of a technician’s knowledge and proficiency in auto repair and auto service. An ASE certification is the gold-standard for European Auto Repair service. This is Jon, our lead technician, and he is ASE certified. In addition, you want to find a auto care business that embodies the spirit of learning and education. With European vehicles, and quite honestly vehicles in general, the technology is always moving and changing. While your vehicle is still running on the same principles of combustion and propulsion, it is increasingly controlled by centralized computing. Understanding these changes and maintaining access to proper tools and electronics to communicate with a vehicle is essential. Lastly, you want to work with a auto repair shop that places a high value on repeat business. As outlined in our oil change service page, we have discovered that the best way to keep the cost of ownership down while maintaining functional and safe vehicles is to use the same mechanic for all service, repair and maintenance. Like all vehicles, no matter the country of origin, staying on top of regular service and focusing on preventative maintenance is the single best way you can increase the longevity of the vehicle and minimize costly repairs in the future. By finding and committing to visiting the same auto repair shop for all service and repair, you give yourself an advantage over other drivers who hop from shop to shop for different services. Since we opened our Gilbert automotive repair shop we routinely speak to vehicle owners who call multiple shops to get a quote on the service and repair their vehicle needs. We understand the importance that cost plays when choosing an European auto repair technician which is why we have made the decision to not provide quotes over the phone. This approach has allowed our team to establish a higher level of trust and relationship with our customers. Providing quotes over the phone, not having seen the vehicle, begins the relationship on speculation and money. We want to begin a relationship on the facts of a repair with a clear expectations for a solution, timeline and cost. Most European car owners do not want to become car experts – they simply want to be able to make expert decisions about their vehicle. Having an understanding on the unique needs of your European auto places you in the driver’s seat and gives you a roadmap of what to look for when selecting a European auto repair shop. We invite you to schedule an appointment with our shop! We would be honored for the opportunity to meet you, learn about your vehicle and share our approach to European car care. Get the most out of your vehicle with the help of Highline Car Care! Is your European auto in need for a repair? Fill out this form below and schedule your appointment with Highline Car Care. Your completed form is sent directly to our owner, Wes Hawkins, from there we will reach back out to you and come up with a time that works best for your schedule.